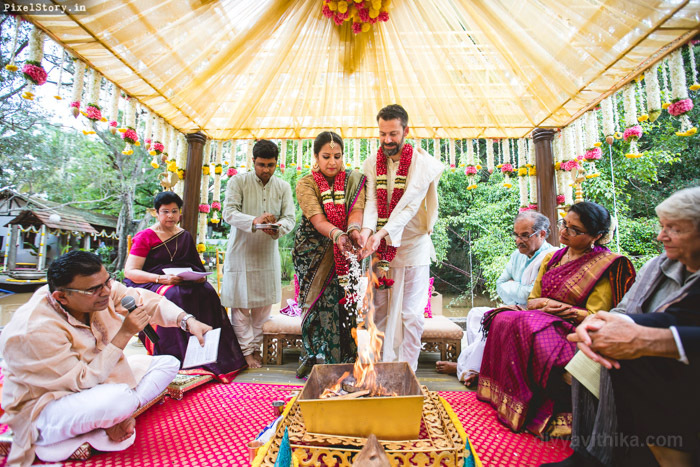 Interfaith weddings have led to beautiful new expressions of identity, culture, and faith, as well as whole new sets of traditions. 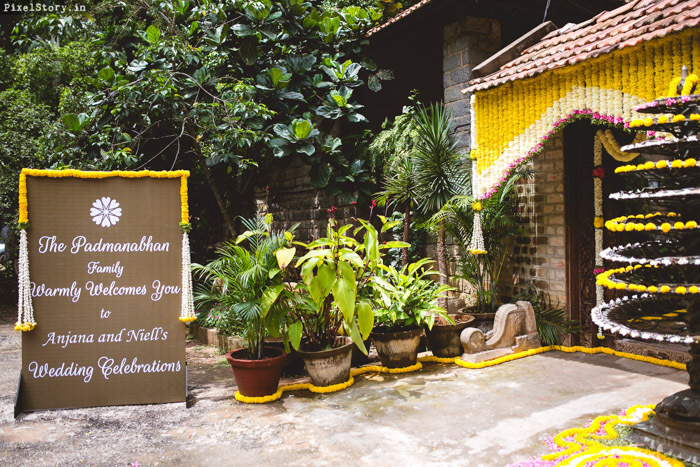 We absolutely loved creating a very special celebration for Niell who is American and Anjana his Indian bride. 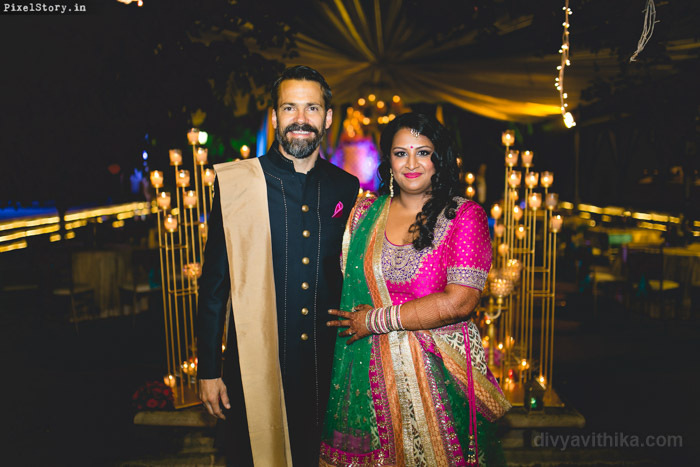 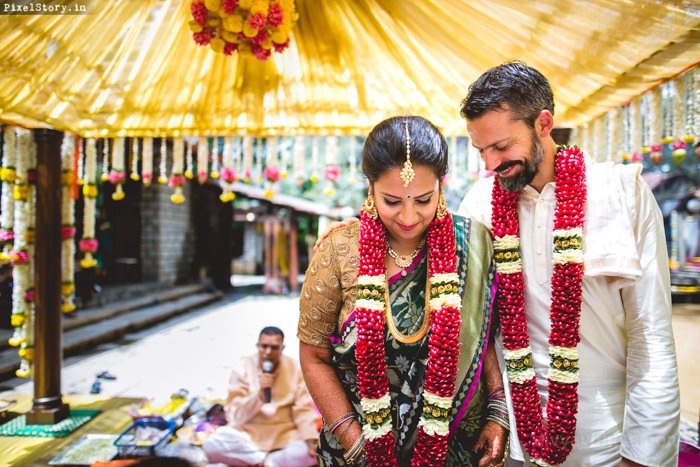 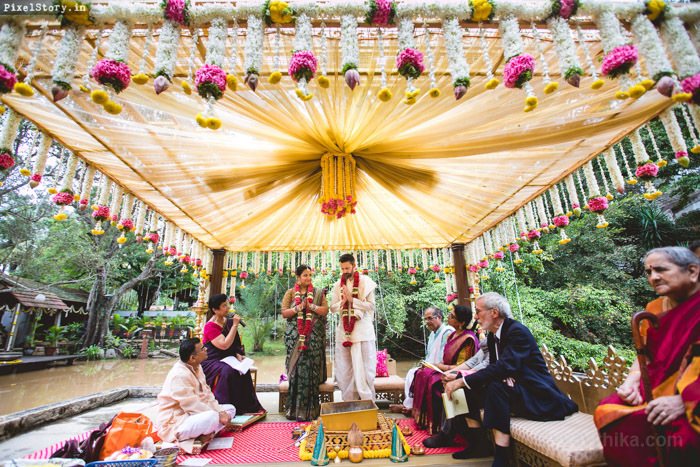 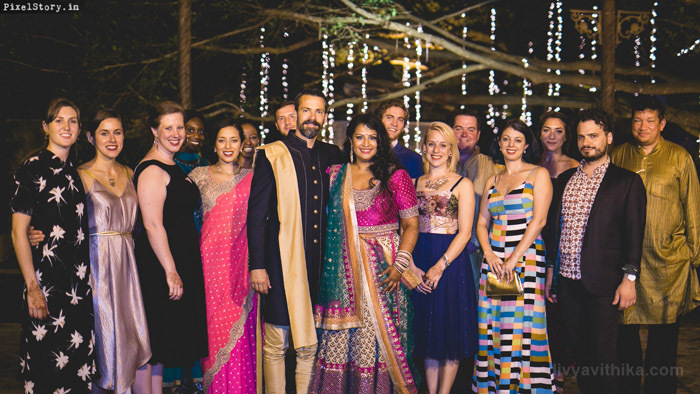 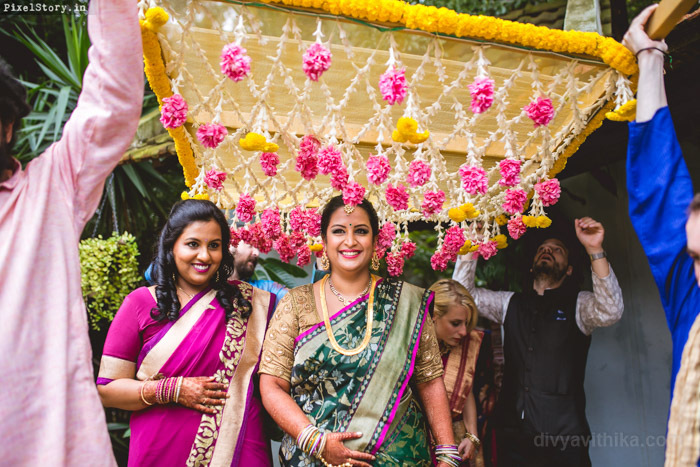 The events started in the US with a gorgeous wedding at Niell’s parents’ home and they all then flew to Bangalore for the Indian wedding. 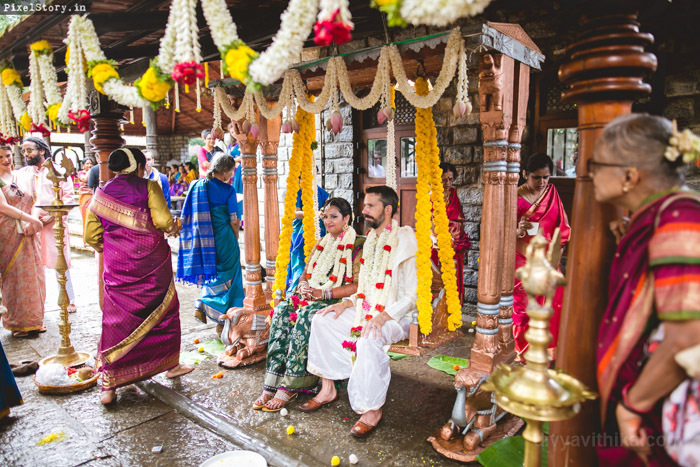 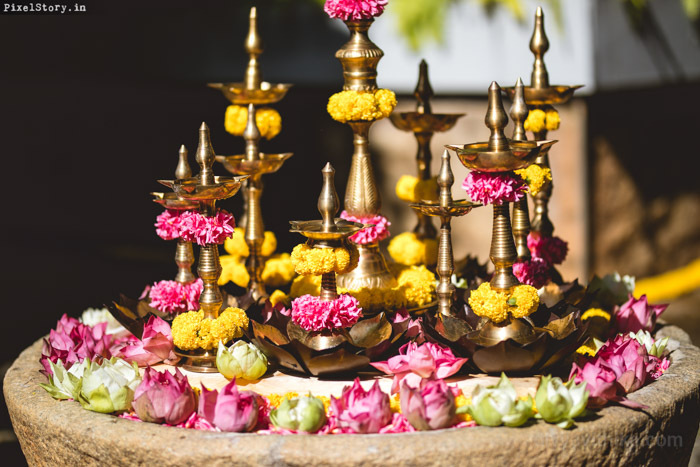 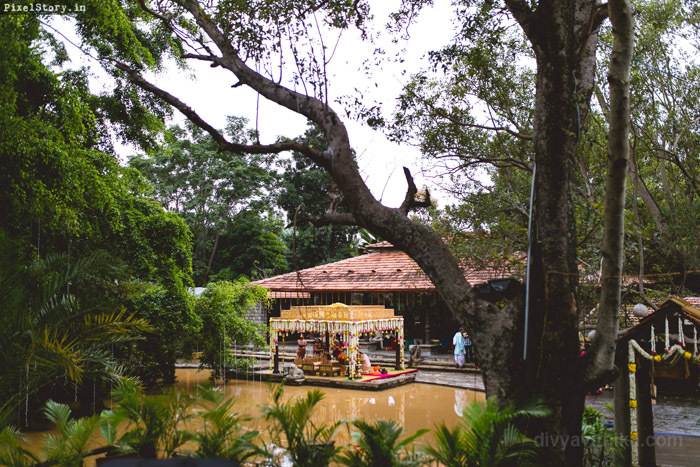 Anjana’s family opted for a Arya Samaj wedding infused with Tamil rituals. 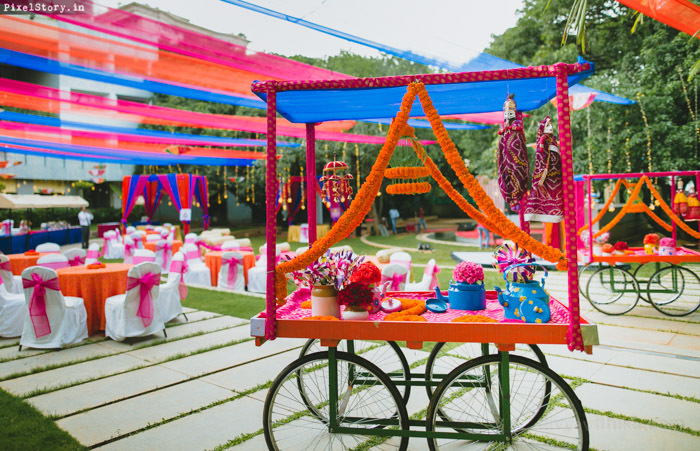 The celebrations kicked off with a beautiful Rajasthani styled Mehendi and was followed by a dreamlike wedding at Tamarind Tree. 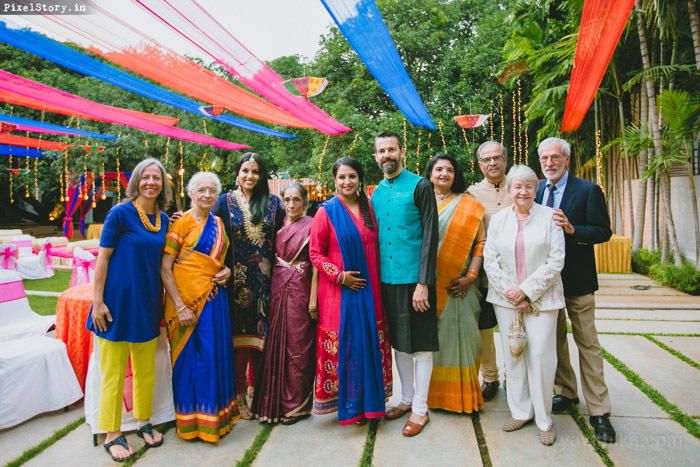 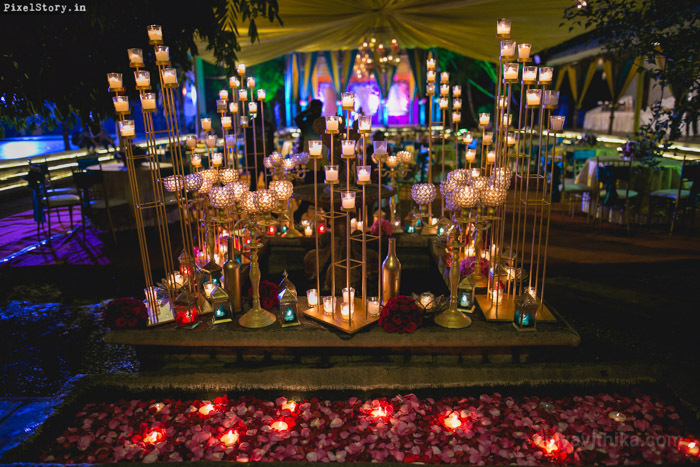 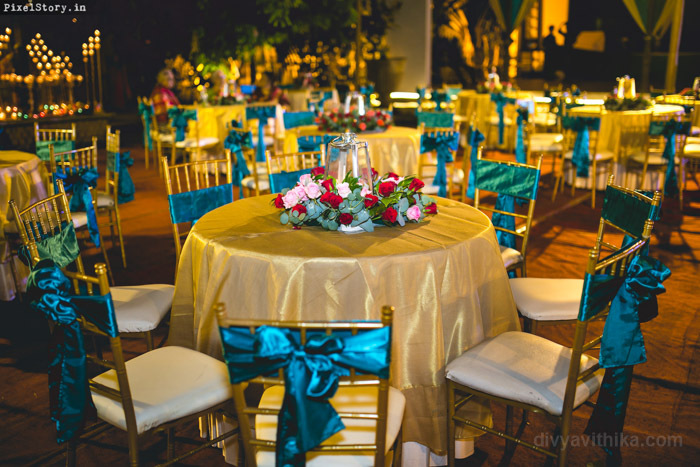 The guests were enthralled by the fluid open spaces, lush green lawns where the old, the new, and someplace magical are crafted into an exquisite tapestry. 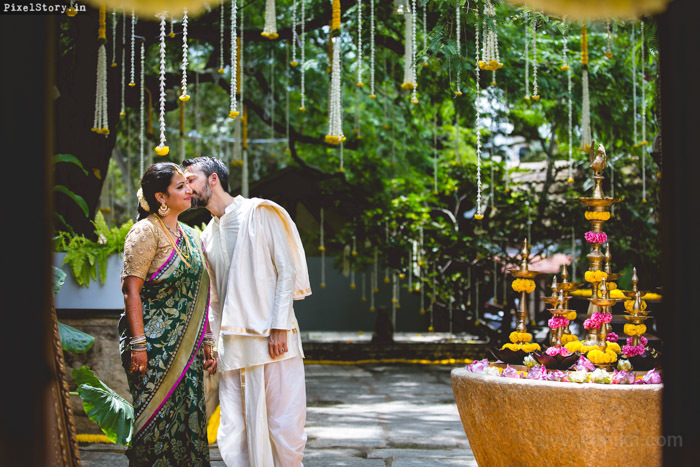 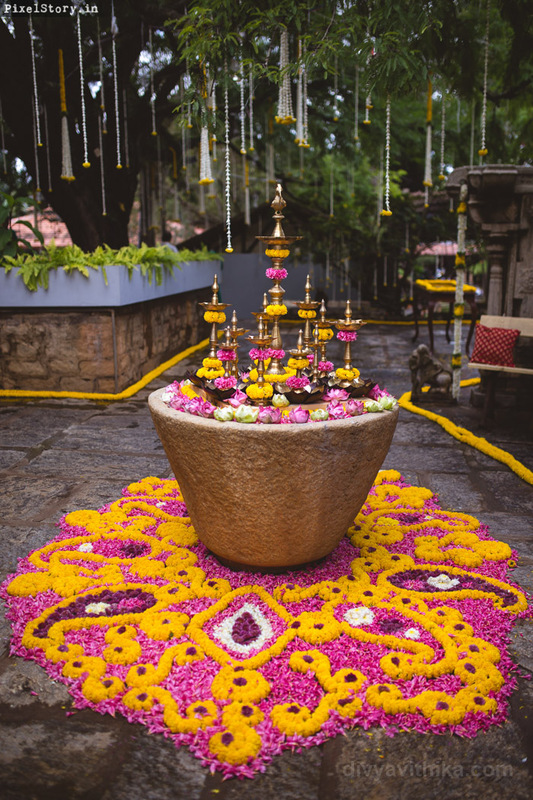 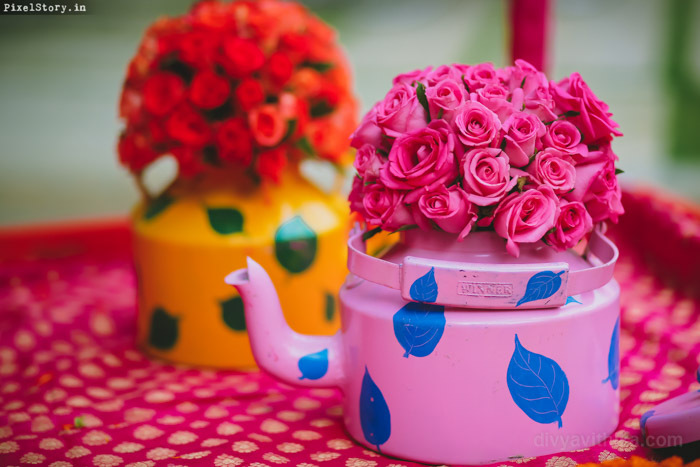 Welcoming antique doorways leading into traditional courtyards, interwoven by cobble-stoned pathways, Frangipani blooms against the filigreed Bandstand, combined with bright colors, traditional flowers, ethic feel left guests in awe of this beautiful wedding. 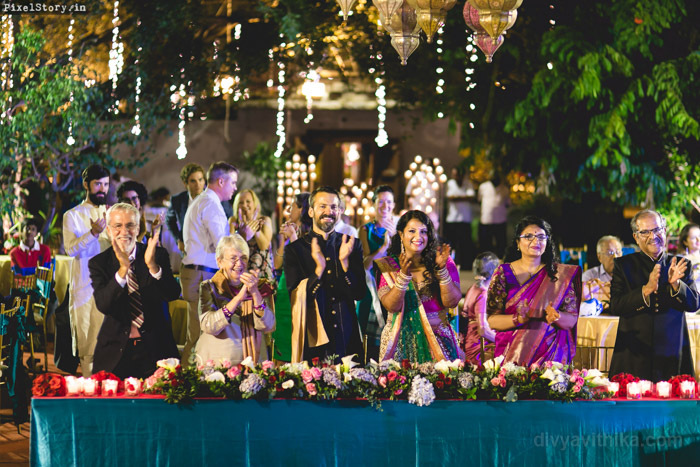 At Divya Vithika Wedding Planners we worked closely with Anjana’s parents and helped them with everything from caterers, decorations, makeup artists, mehendi artists, DJ, Indian instrumental band, logistics for all their guests travelling from all parts of the world, hampers, welcome letters, styling the events and stage management. 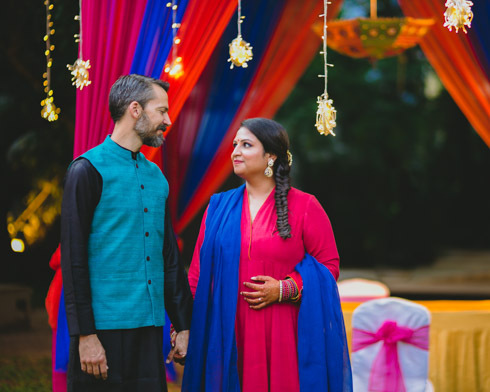 Thank you Anjana and Niell for being the most amazing couple. 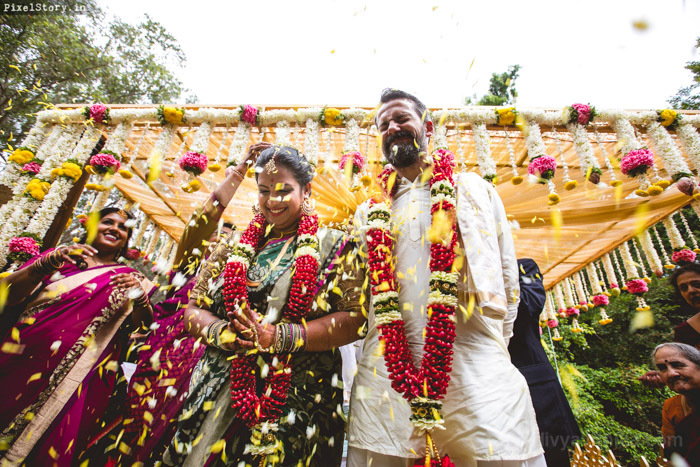 Wishing you a lifetime of happiness today and always.